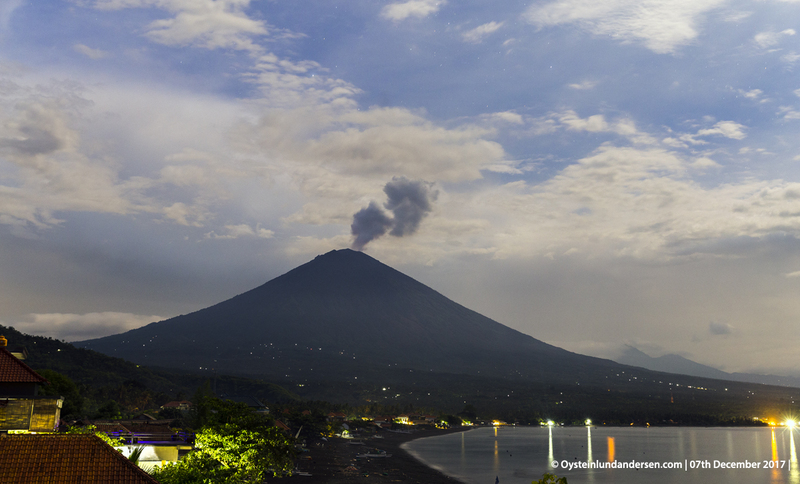 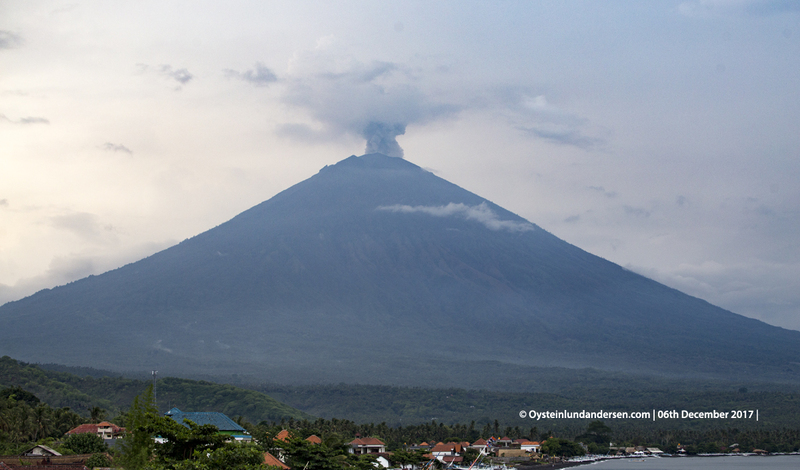 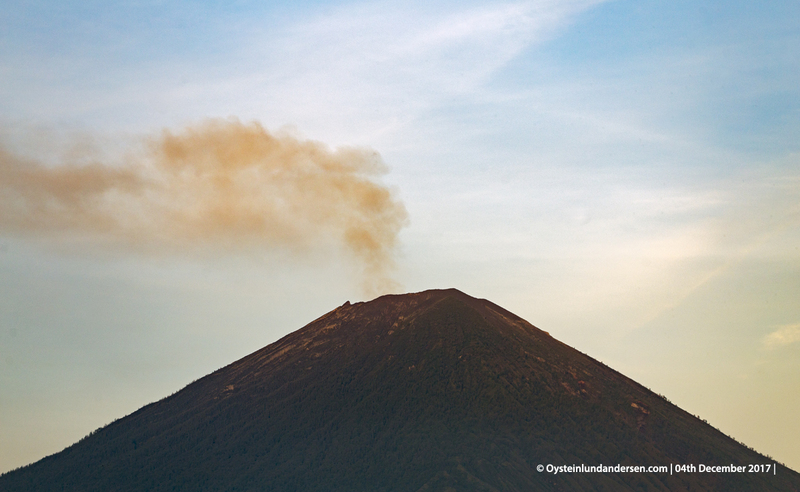 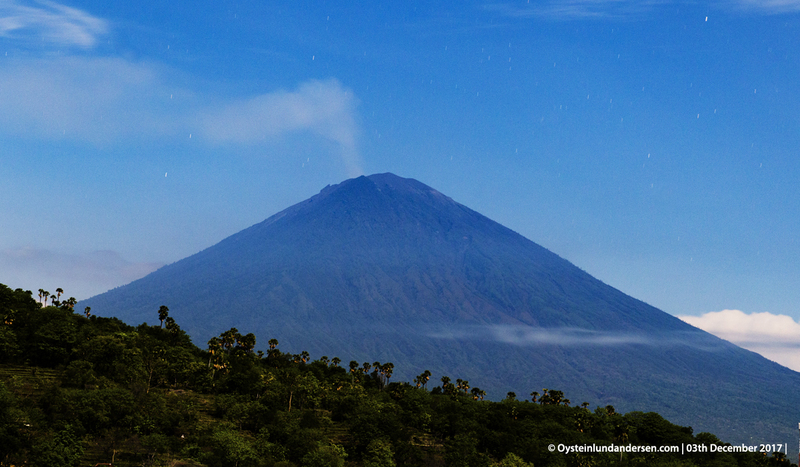 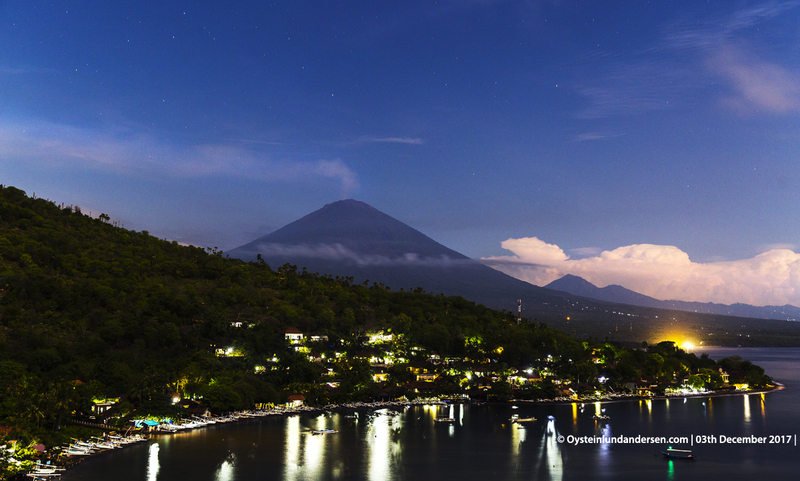 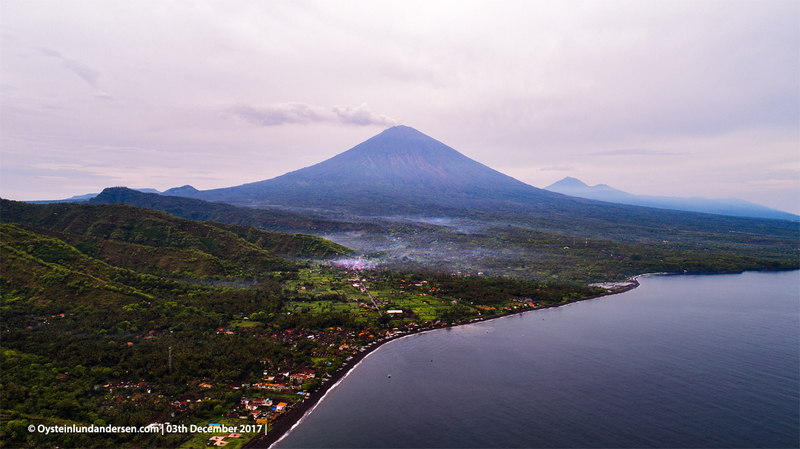 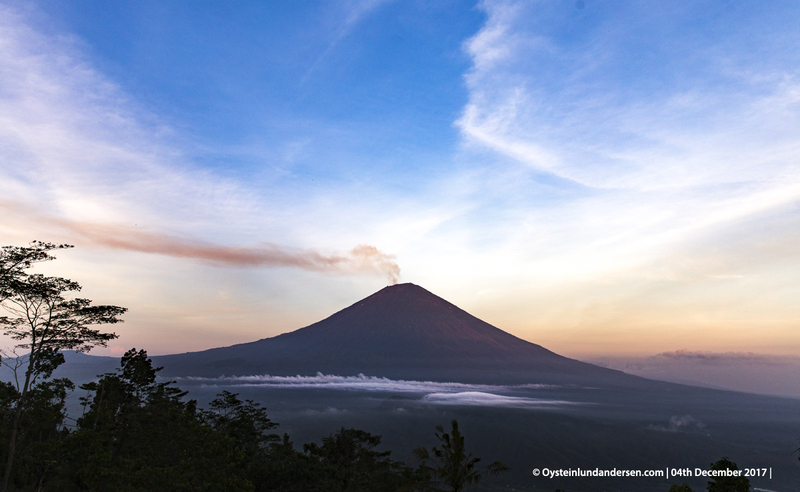 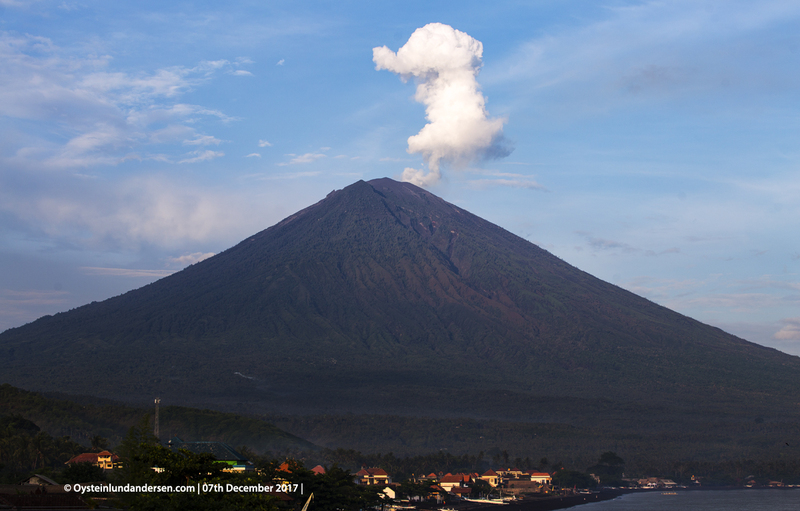 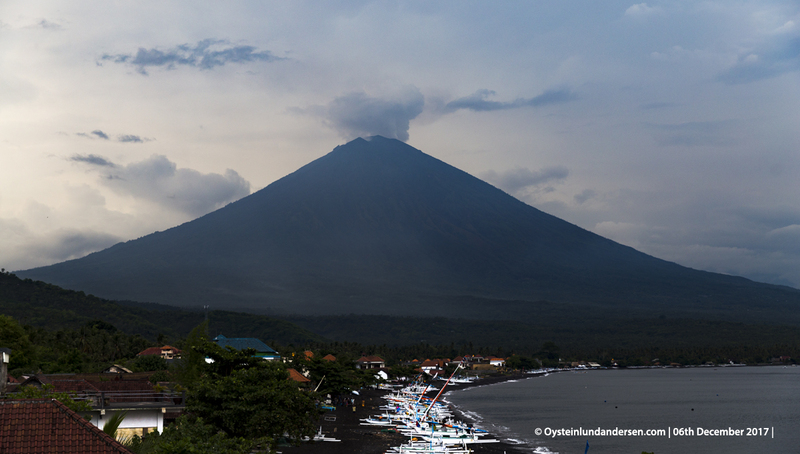 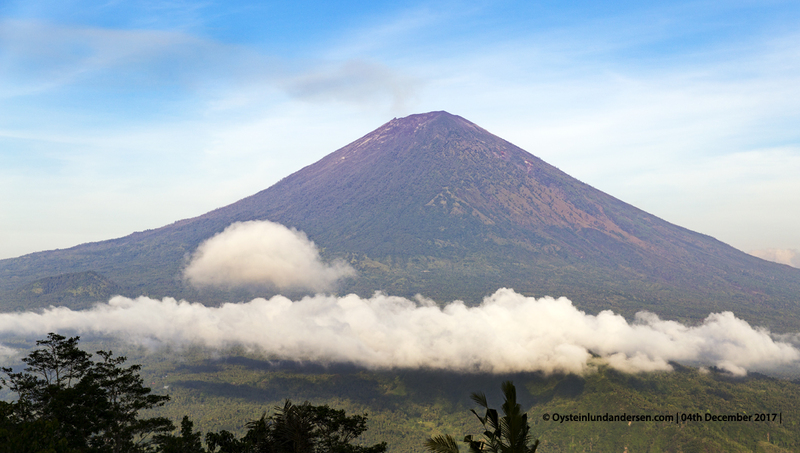 Symmetrical Agung stratovolcano, Bali’s highest and most sacred mountain, towers over the eastern end of the island. 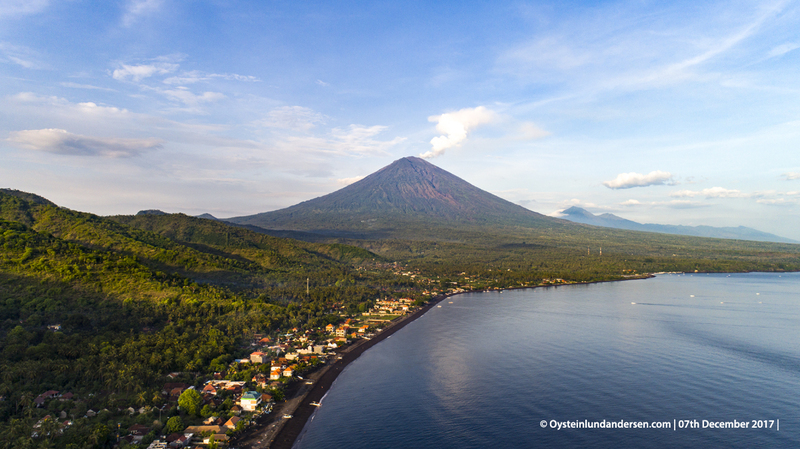 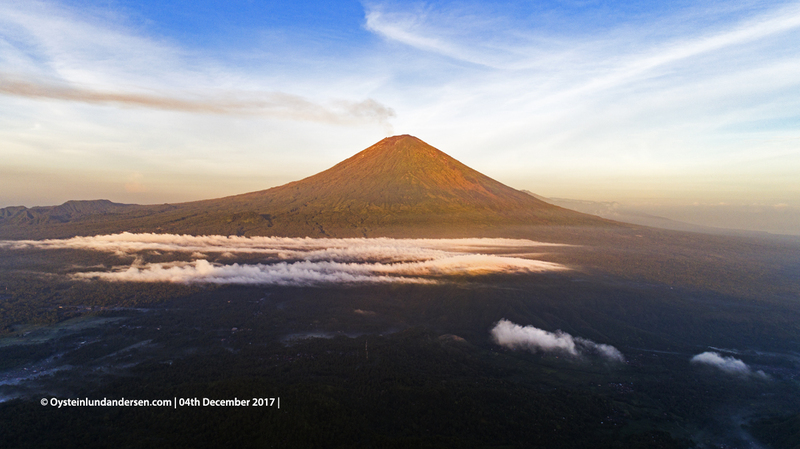 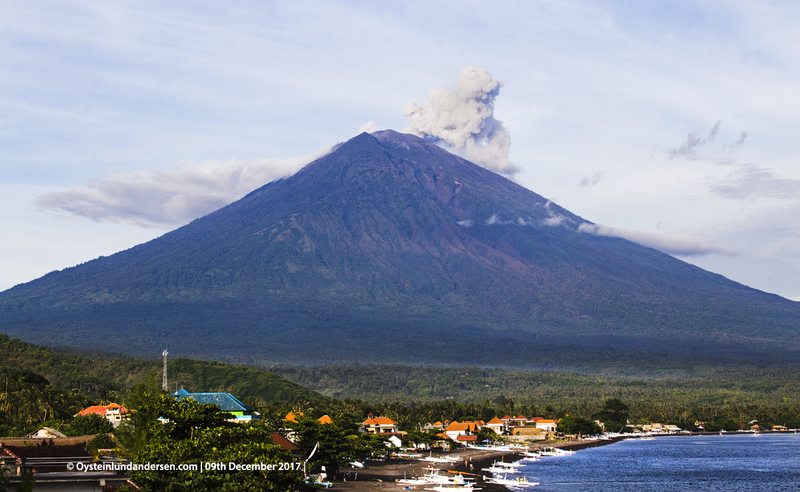 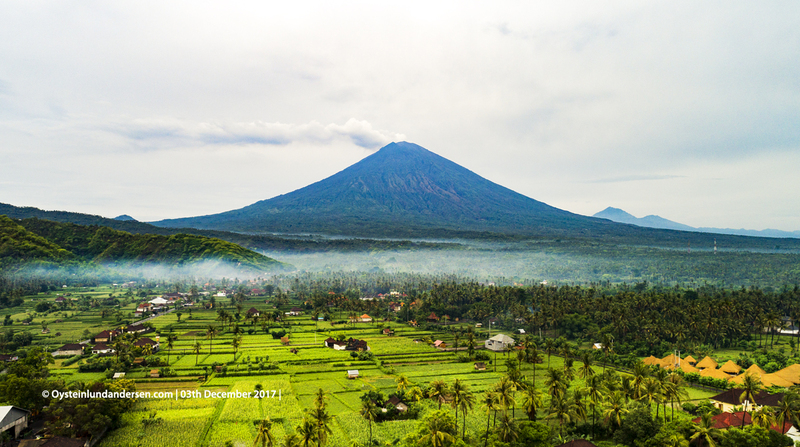 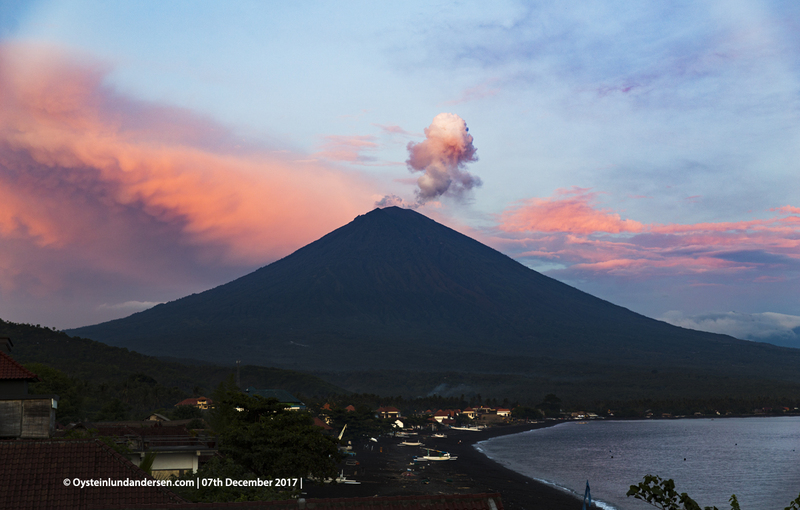 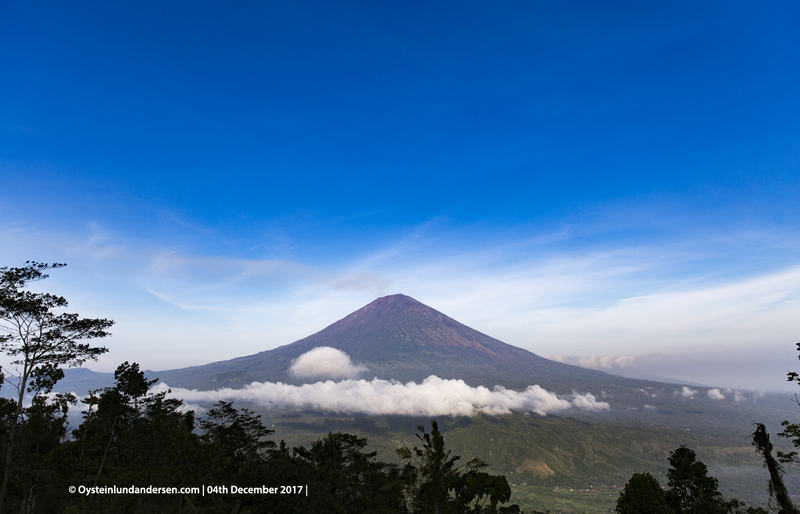 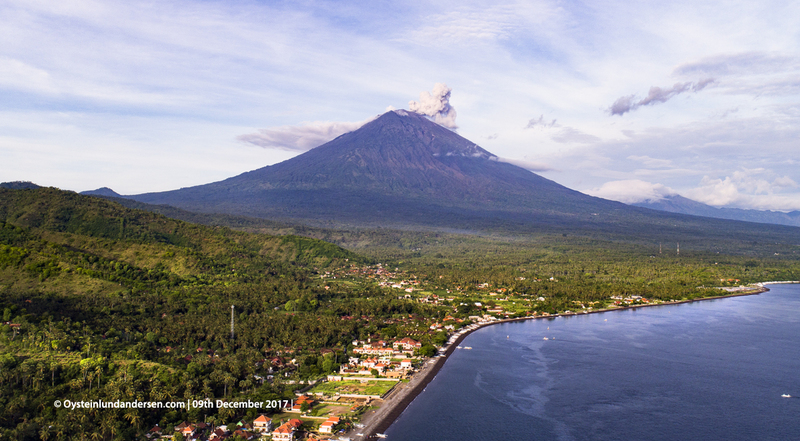 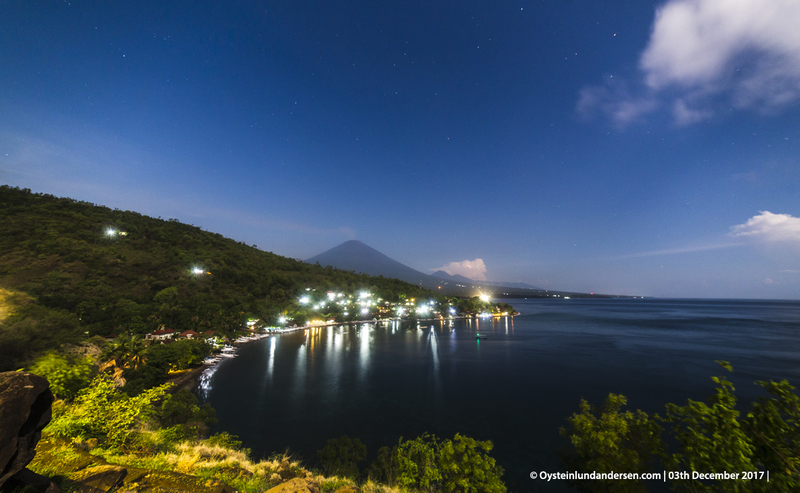 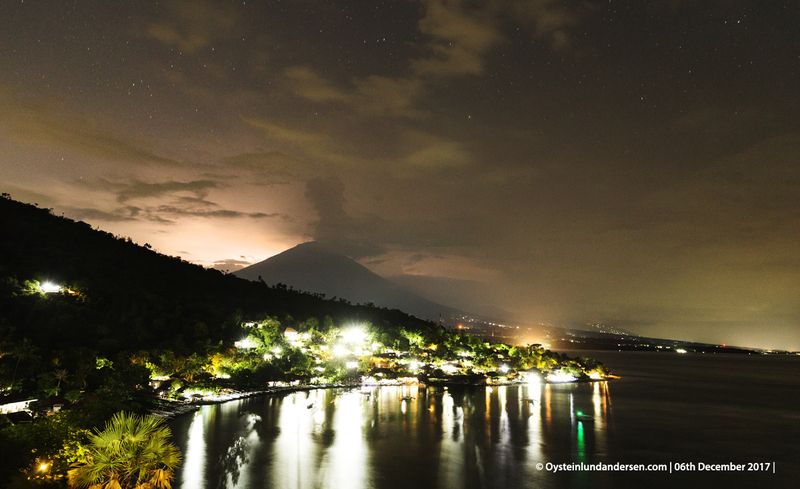 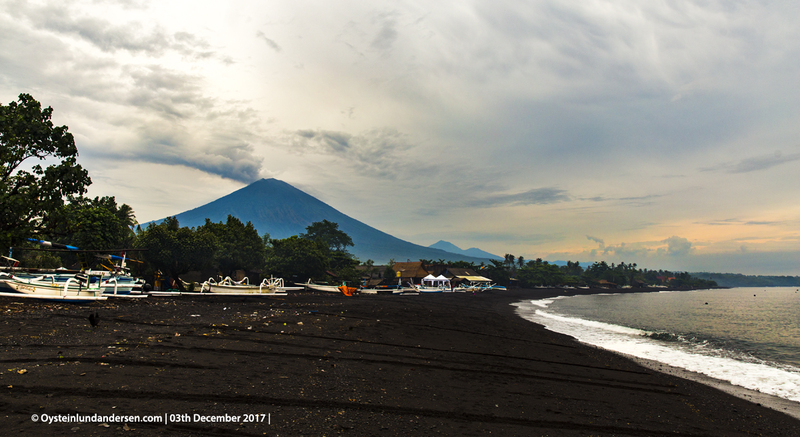 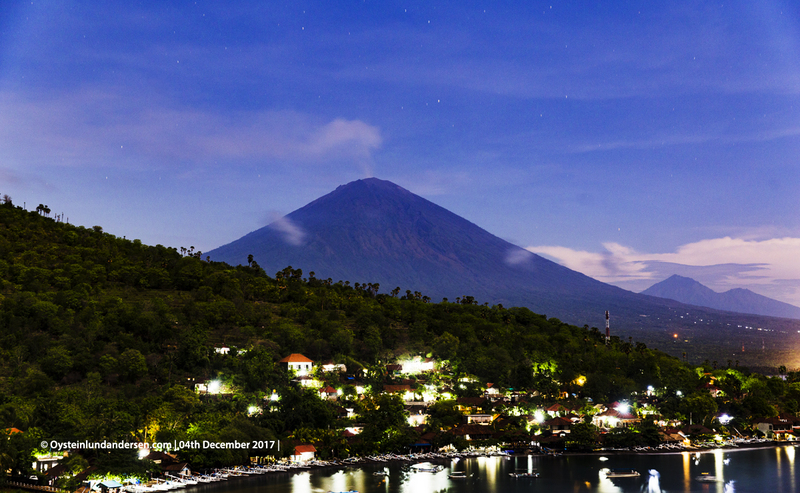 The volcano, whose name means “Paramount,” rises above the SE caldera rim of neighboring Batur volcano, and the northern and southern flanks extend to the coast. 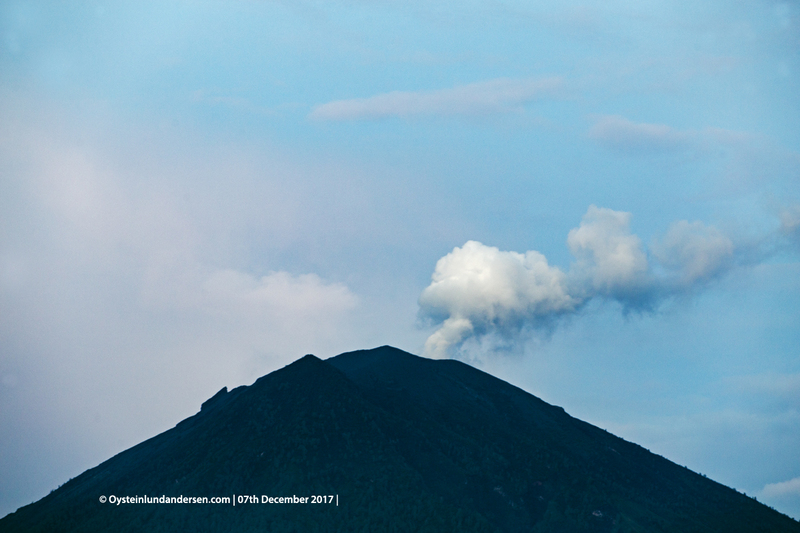 3th December: Steady degassing (gas) plume was observed at all times during times of observation. 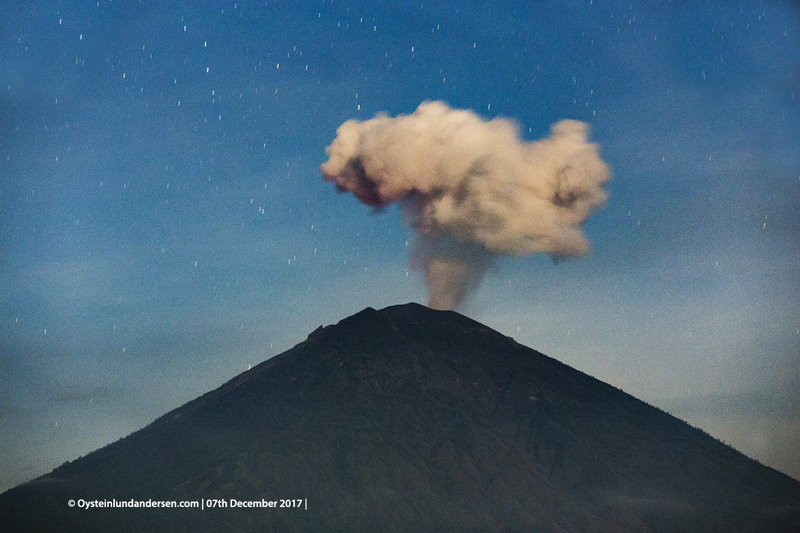 4th December: Similar as the day before. 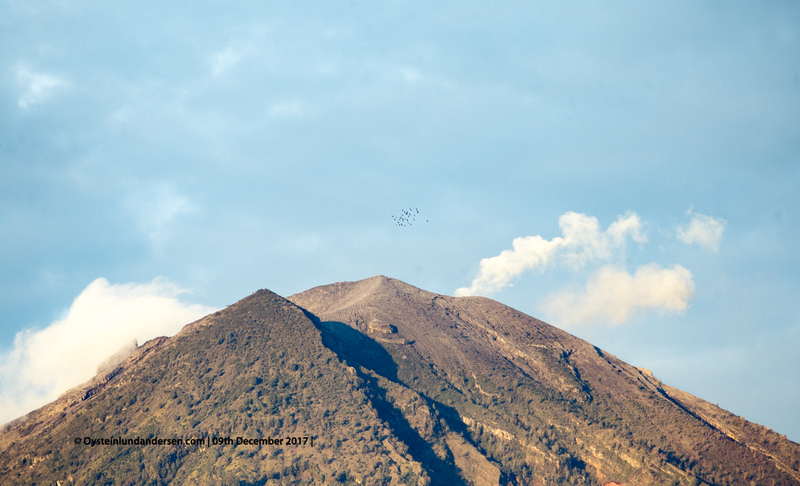 Steady degassing (gas) plume was observed at all times during times of observation. 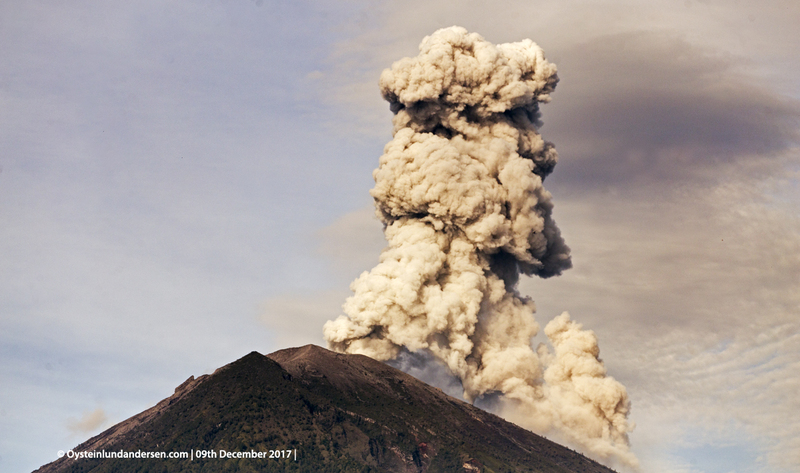 6th December: Periods of complete calm, and some stronger gas plumes and ash-plumes observed in the afternoon/evening. 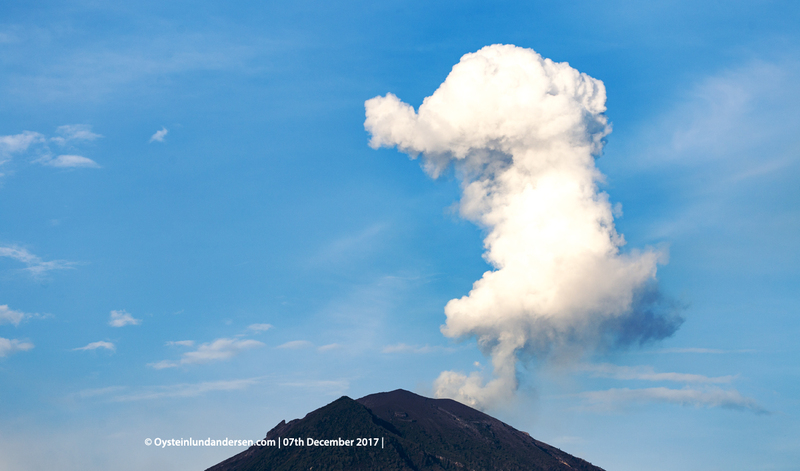 7th December: Periods of calm, and few ash-rich plumes observed. 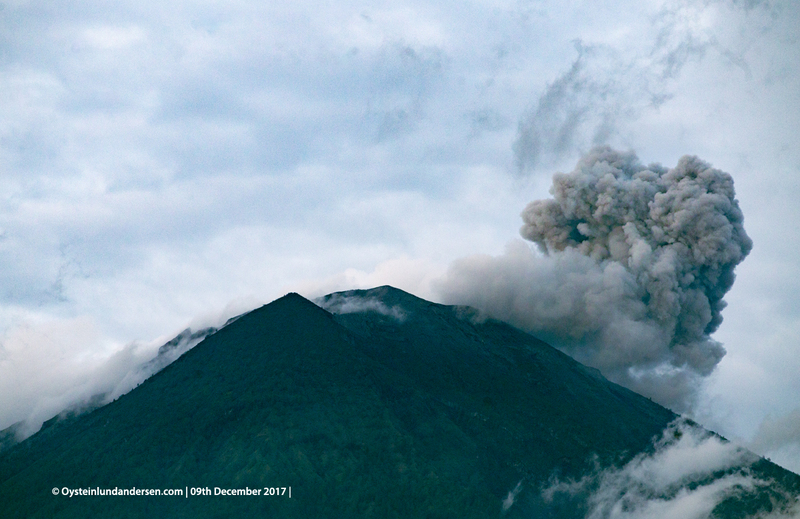 8th December: Increased number of ash-rich plumes observed. 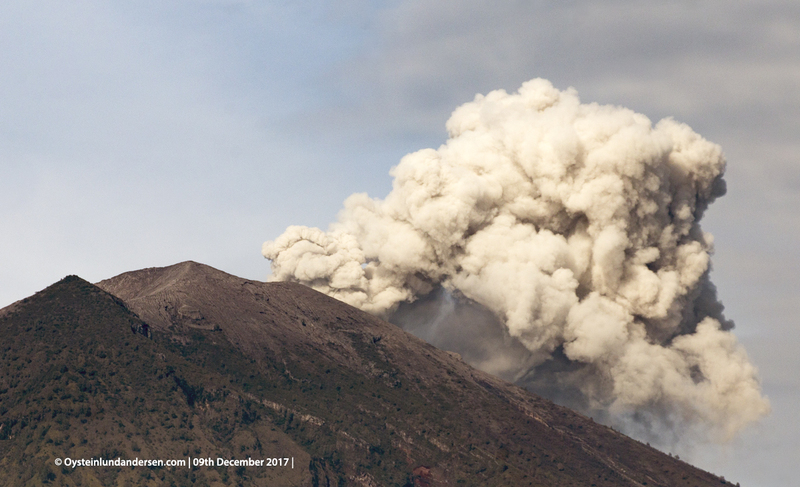 9th December: Increased number of ash-rich plumes observed, reaching heights up to 2000m according to PVMBG. 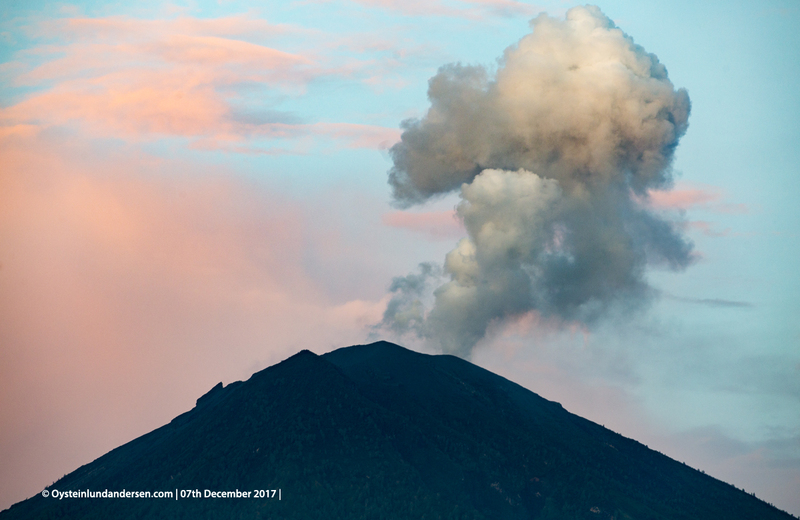 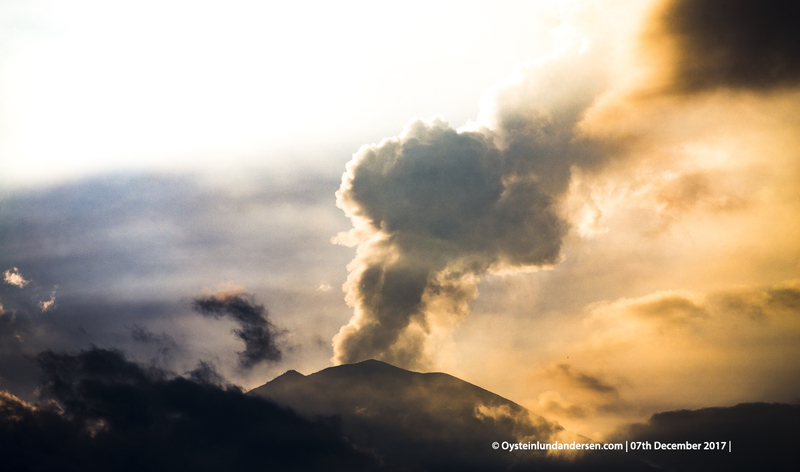 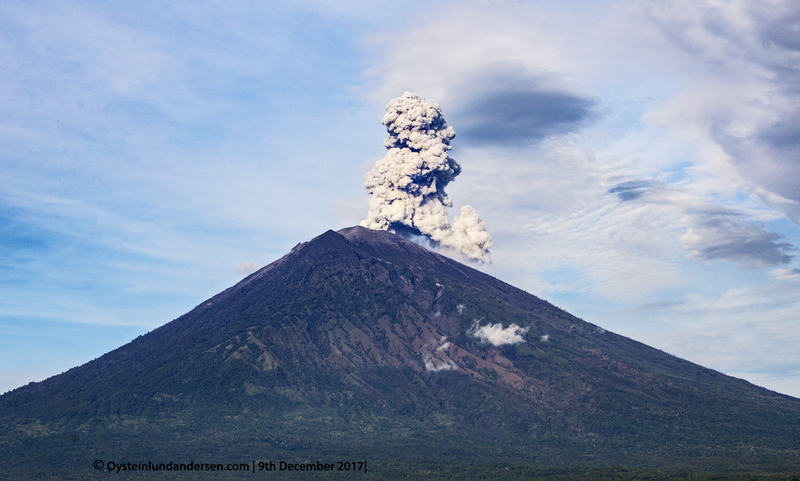 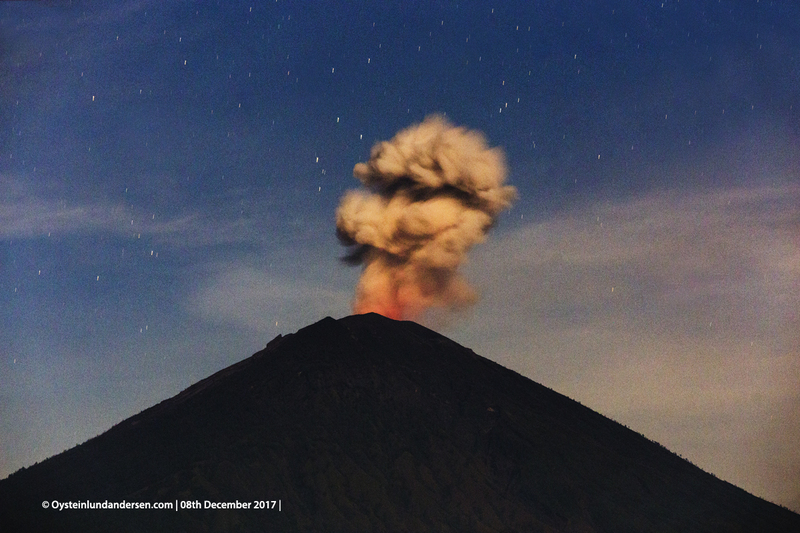 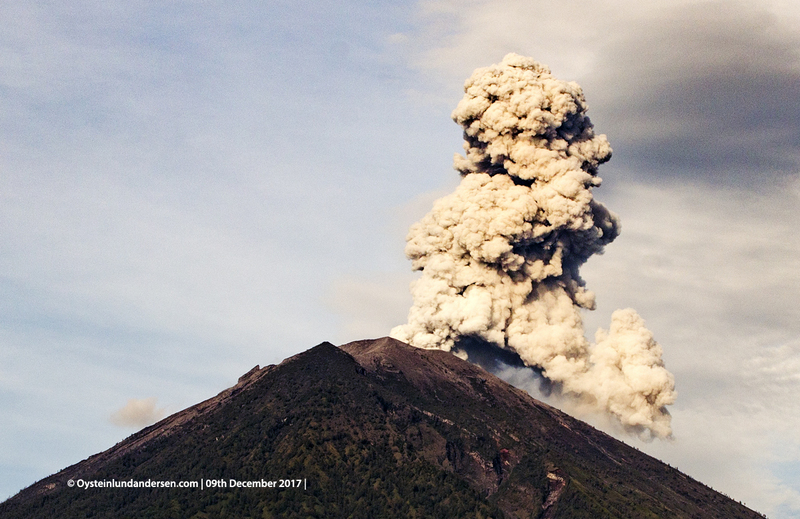 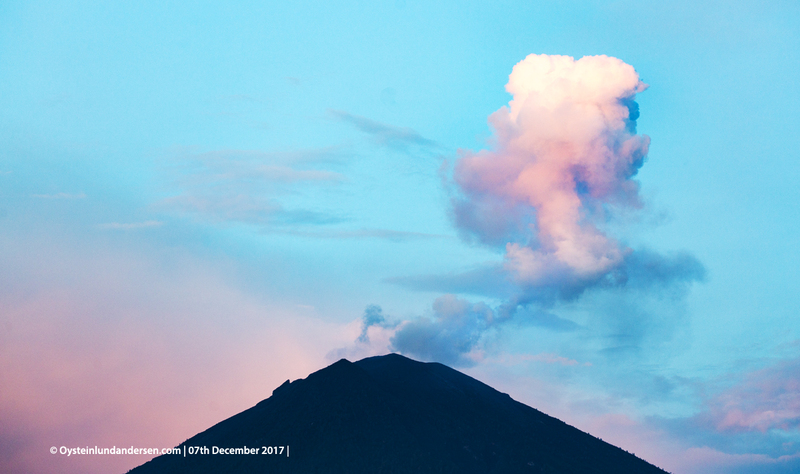 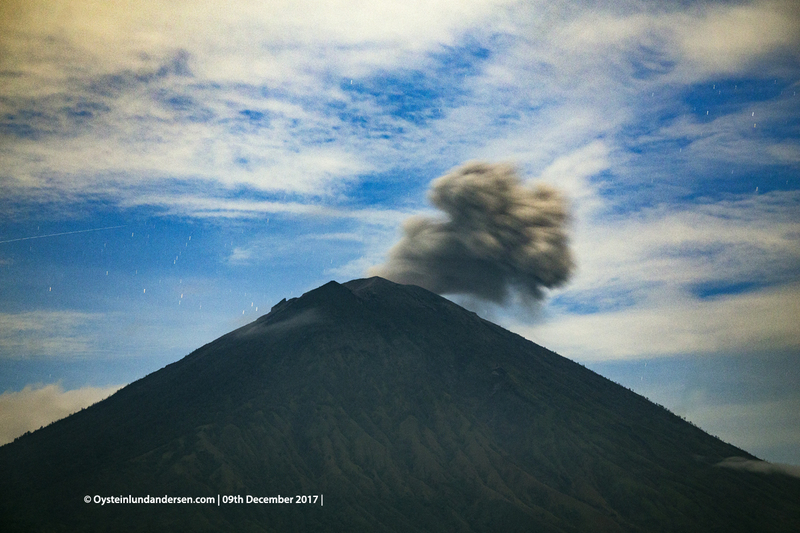 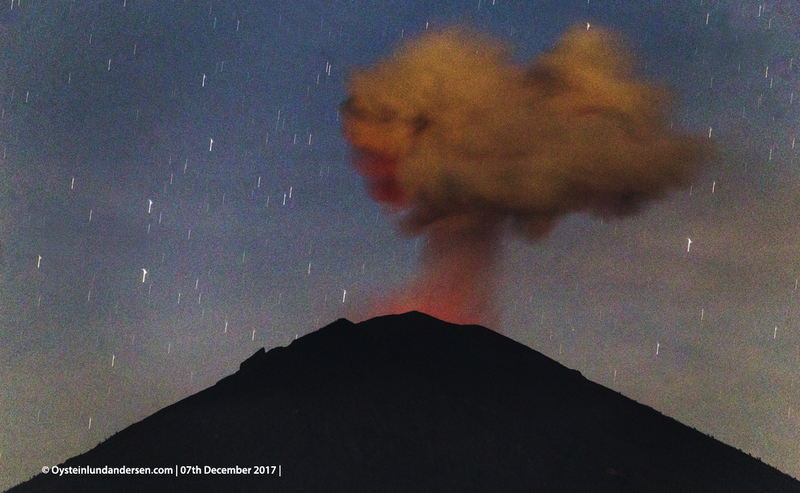 For updated information on the volcanic activity of Agung Volcano, visit the homepage of MAGMA Indonesia. 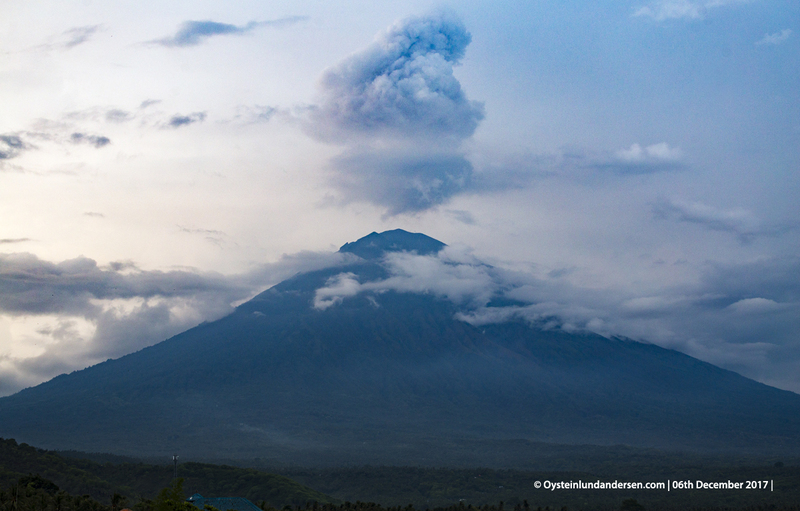 Ash rich eruption plume. 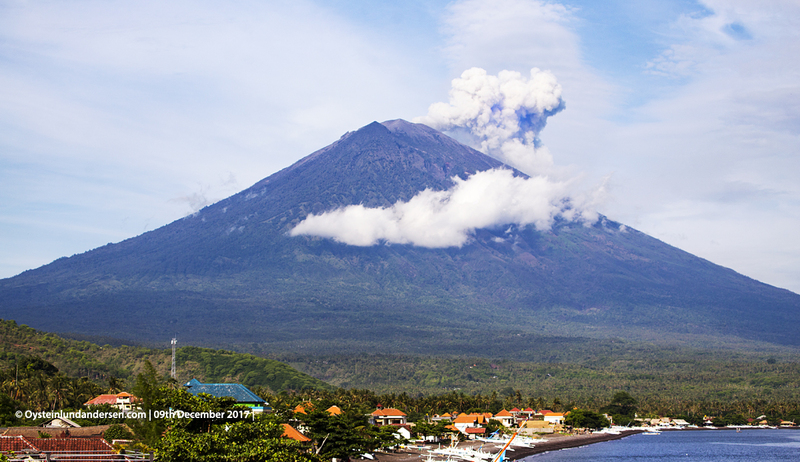 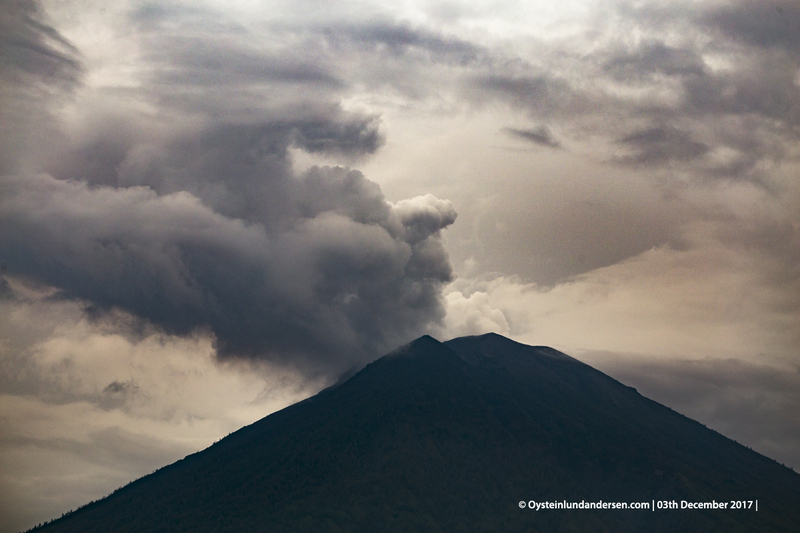 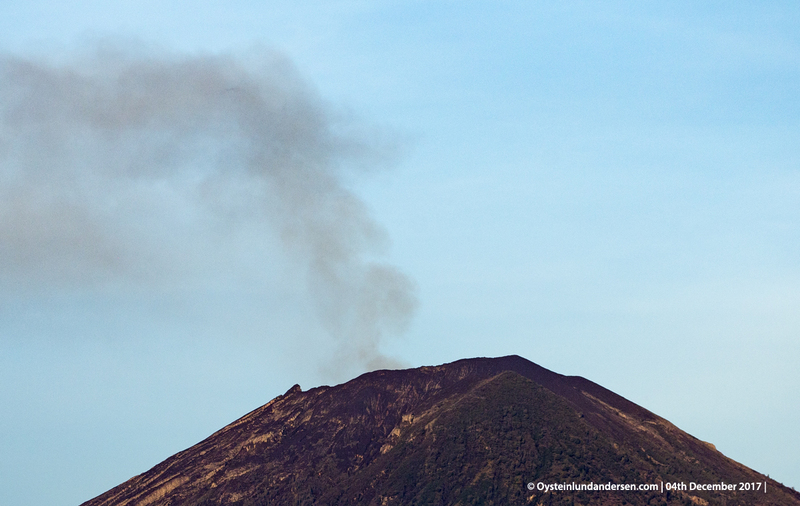 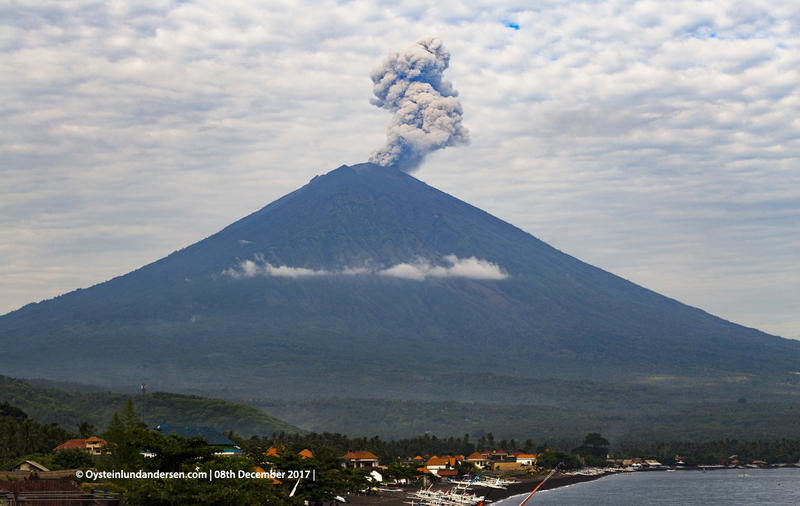 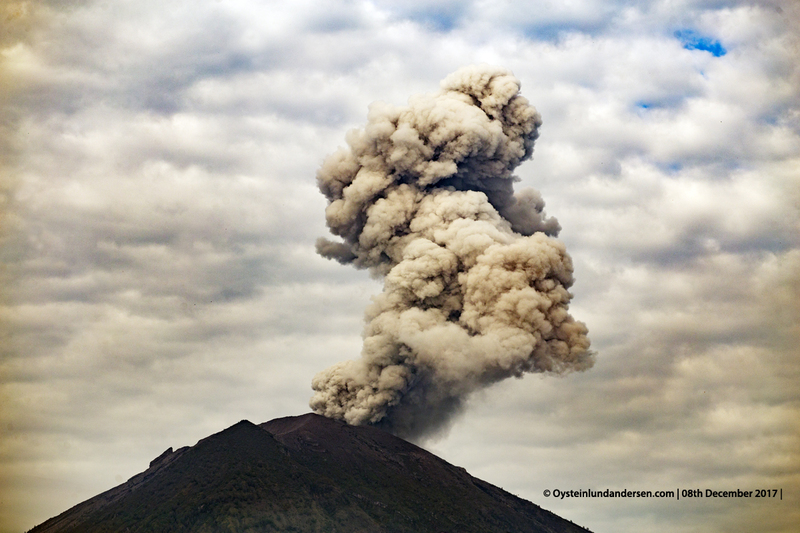 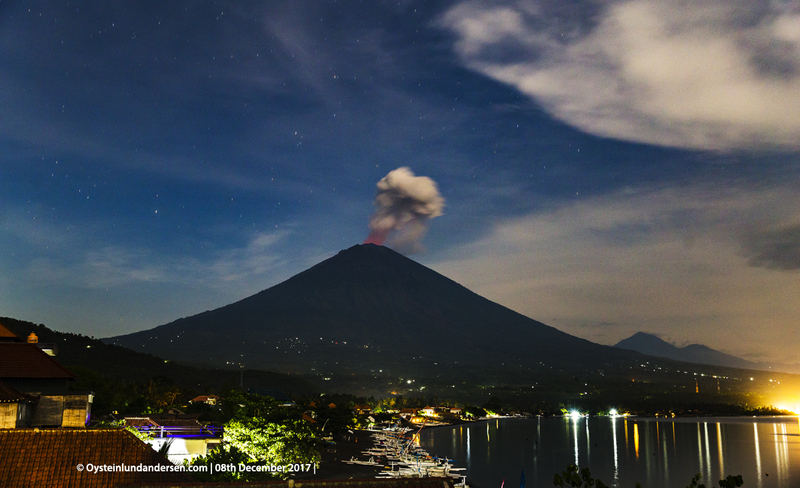 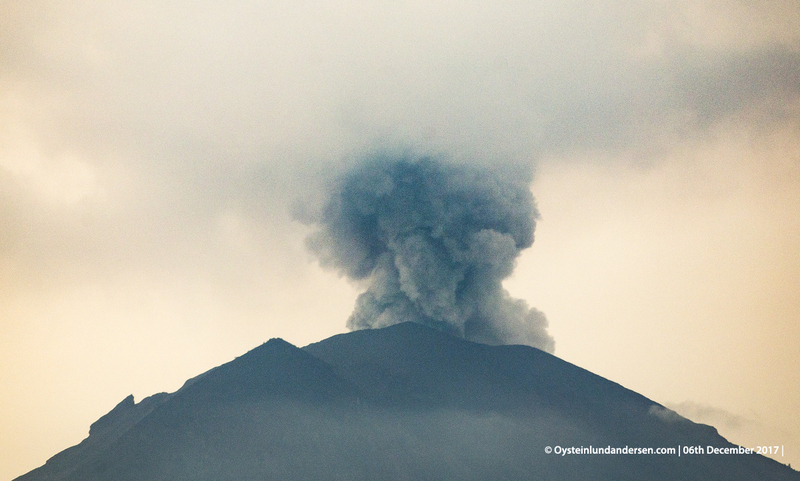 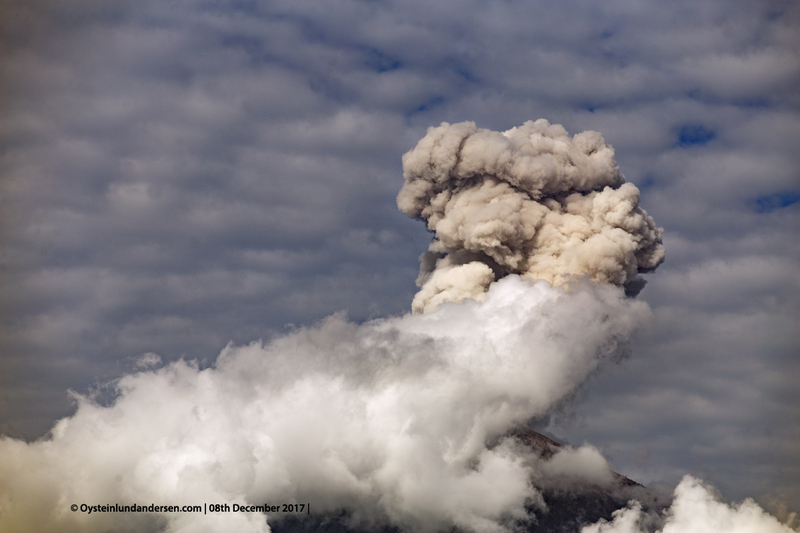 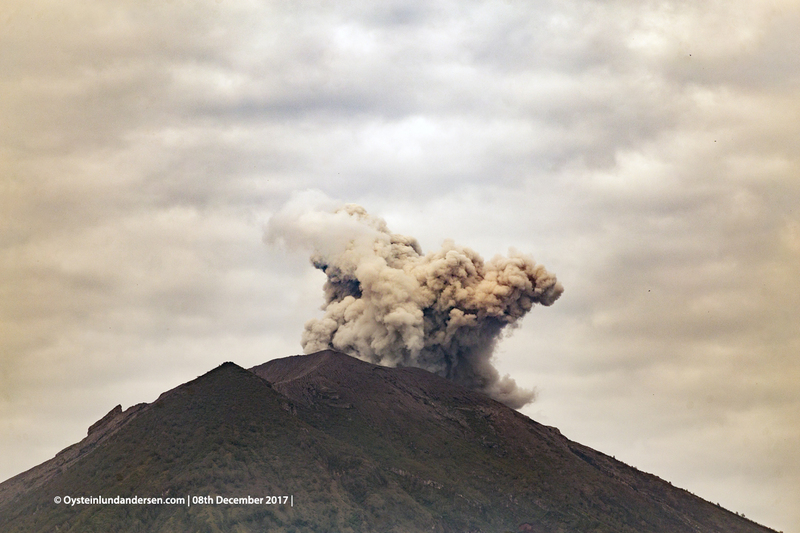 According to Indonesian authorities the plume rose to 5200m A orange VONA was issued after this plume was seen.